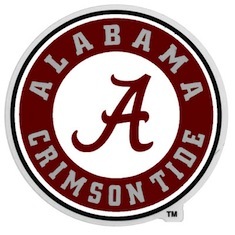 Join the Greater New York Chapter at Ainsworth Park (111 East 18th Street) to enjoy some spring football and get a first look at the 2014 Crimson Tide football team. Kickoff is set for 2 p.m. on ESPNU. Ainsworth Park features an all-new full menu with a whole new lineup of burgers and salads as well as its weekend brunch menu. The UANYC section will be in the restaurant's upper area with game sound exclusively for Alabama fans. Reservations are not required.